A 7.0 magnitude earthquake off the Pacific Coast of Central America has shaken the region, just as a hurricane barreled into the Caribbean coasts of Nicaragua and Costa Rica, AlJazeera says. In El Salvador, the eartquake could be felt in the regions of Chalatenango, San Salvador, Cabanas and San Miguel. Over the last two weeks, earthquakes with magnitudes over 7.0 have hit Japan and New Zealand, both of which are also near the Ring of Fire. 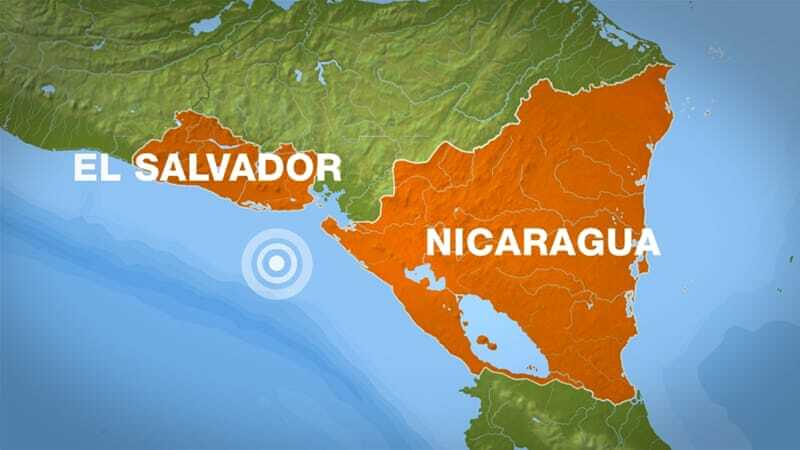 The earthquake struck one hour after a powerful hurricane packing winds of 175 kilometres per hour made landfall on Nicaragua's other coast. The heavy rains hurricane Otto was offloading were likely to cause dangerous flooding and mud slides, according to the US National Hurricane Center.